Water Damage Montréal is a local company that services the Montreal community in the event of flood or water damage. Water Damage Montreal has certified experts and professional who are on call - 24/7. We understand that unexpected situations can occur (such as natural disasters) and want to be your #1 choice when choosing a restoration company. Water Damage Montreal focuses on providing excpetional service to all of our customers. The first steps you take proceeding a water damage is crucial to the restoration of your home. We understand that a water damage can cause plenty of worry. Water Damage Montreal focuses on solving the problem - so that you and your family can get back to your daily lives. 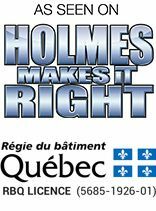 Water Damage Montreal works with every insurnace company in Montreal. This not only benefits us as a company but also benefits you and your family. By working with your insurance company, we are able to provide reliable & effective results quickly. We focus on making the procedure as easy as possible for you and your family. 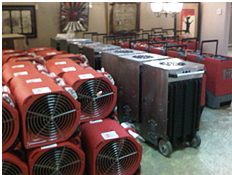 We use top of the line equipment that will safely provide a solution to the water damage. Furthermore, we realize that time is crucial during a water damage. That is why our team will arrive on site ready to perform water remediation services. At Water Damage Montreal, we advise our customers to quickly call a certified and professional restoration company immediately after a water damage to help minimize the amount of destruction that has been created. Damage from moisture, humidity and flooding will compromise the structural integrity of your home, weakening floors, walls and ceilings. Water Damage Montreal is certified by all the major Canadian Insurance Companies to assess and restore flood/water damages in your home or business. Even if you are not working with an insurance company, we will provide best industry pricing for the services you need. Whether you need repairs for a flooded basement, water damaged walls/ceilings, flooded wood floor, or any other repairs to your property, contact Water Damage Montreal for all your inquiries.